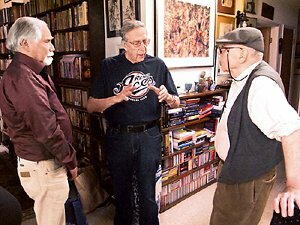 In July 2010, authors Robert Silverberg, Richard A. Lupoff, and Frank M. Robinson visited the Locus offices for a roundtable discussion on the history and ongoing influence of the pulp science fiction magazines. Robert Silverberg, Richard A. Lupoff, Frank M. Robinson. Their pulp pedigrees are impressive: Silverberg wrote extensively for a number of pulps in the 1950s; Lupoff was a contemporary reader of pulp magazines, and has an encyclopedic knowledge of the field; and Robinson worked as an office boy at the Ziff-Davis publishing company in his teens, and later became one of the world’s leading experts on pulp magazines, writing extensively on the subject. He’s also the co-author of Pulp Culture: The Art of Fiction Magazines (1988) as well as author of Science Fiction of the 20th Century (1999). Liza Groen Trombi moderated the discussion. 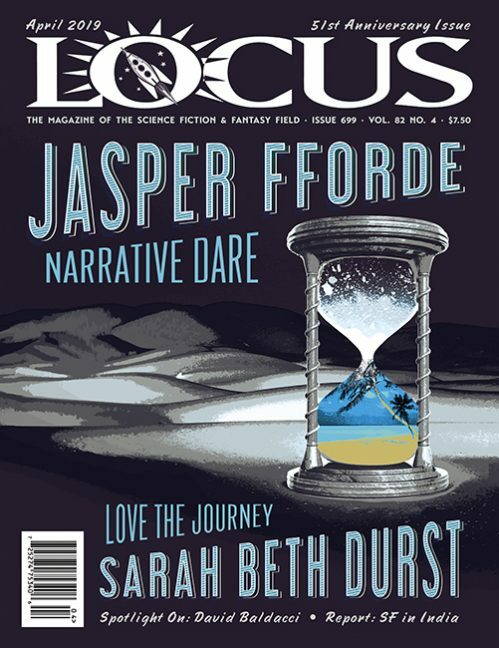 Read the complete discussion in the October 2010 issue of Locus Magazine.